We returned to Mallorca on Sunday and went into Palma today to watch the new Star Wars movie (quite good). Afterwards we walked through town to visit the Christmas markets and look at the Christmas lights. In Spain, presents are brought by the three kings on January 6, so Christmas lasts a little longer here. 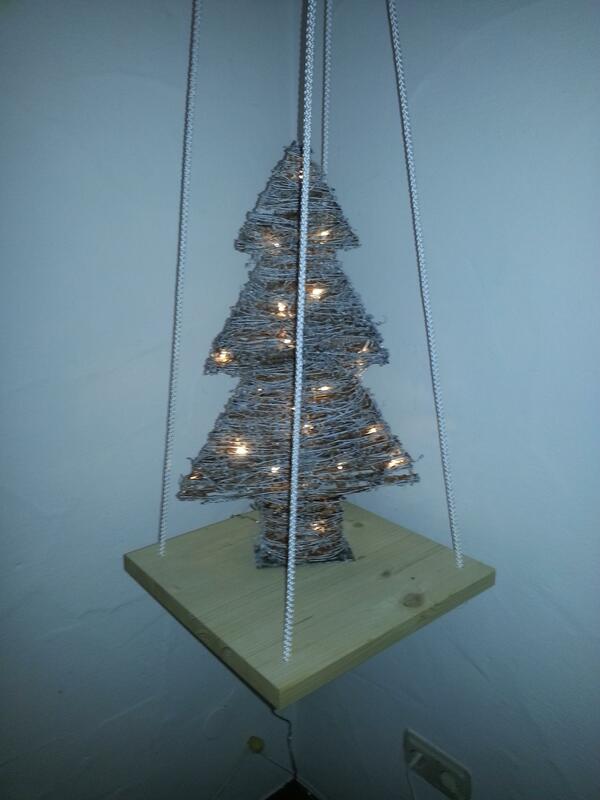 Wir feiern Heiligabend bei Ulrike und sie hat einen schönen alternativen Weihnachtsbaum. Merry Christmas to all! I am alone for a few days, enjoying the very nice weather and trying to learn golf. Diese Woche sind Mutti und Papa zu Besuch und wir haben so einiges unternommen. 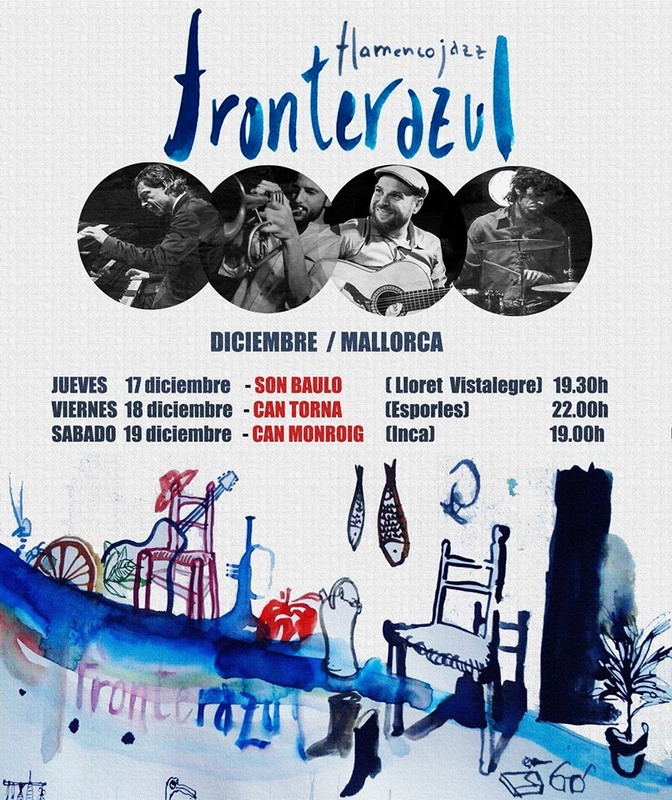 Gestern Abend ware wir in einem Jazz und Flamenco Konzert von Fronterazul. Sehr schön und innovativ. Das Wetter ist weiterhin warm und sonnig, morgens etwas Nebel. Another sunny and warm day here in Mallorca, and it is a holiday today. 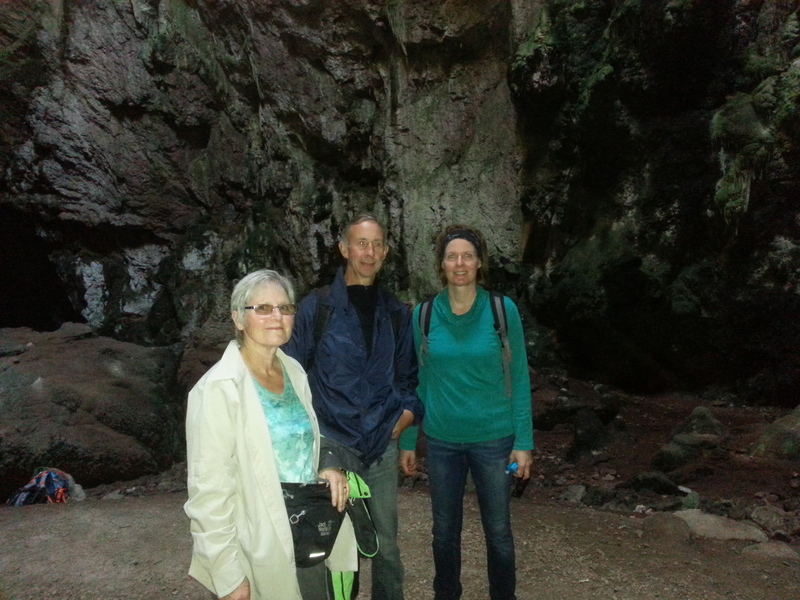 We met friends in Santa Maria and went on a twelve kilometer hike through a beautiful valley. At the top is a big cave, 50m high and open for visitors on Sunday and holidays. Very impressive! Great way to spend the day and nice ending with some tapas and a drink in the town.